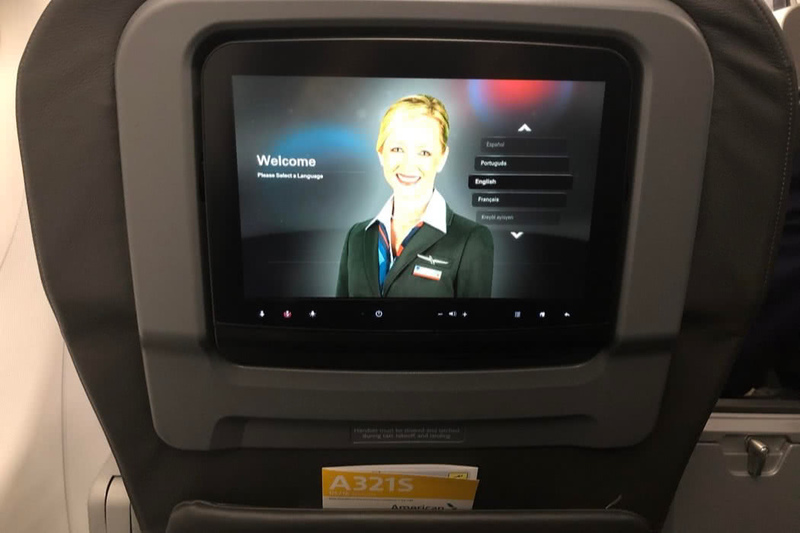 In this trip report, I reviewed American Airlines A321 Domestic First Class, MCO to DCA. I took my flight last month, on an early Monday morning. My flight was from Orlando to Washington DC. For this flight, I was in American Airlines A321 First Class, which was a small cabin of 16 seats in a 2-2 configuration. The plane had another 165 more seats for economy and economy plus, or what American calls Main Cabin and Main Cabin Extra. These seats were in a 3-3 configuration. I boarded the flight quite early on as I was quite sleepy. I was in seat 3A, which was the left window seat on the third row of First Class. The morning plane was relatively full, as passengers began filling in. Waiting for me on the seat was a wrapped blanket. These planes are quite new, with an airy, bright interior, and the all-leather seats, classier than the old blue cloth seats. 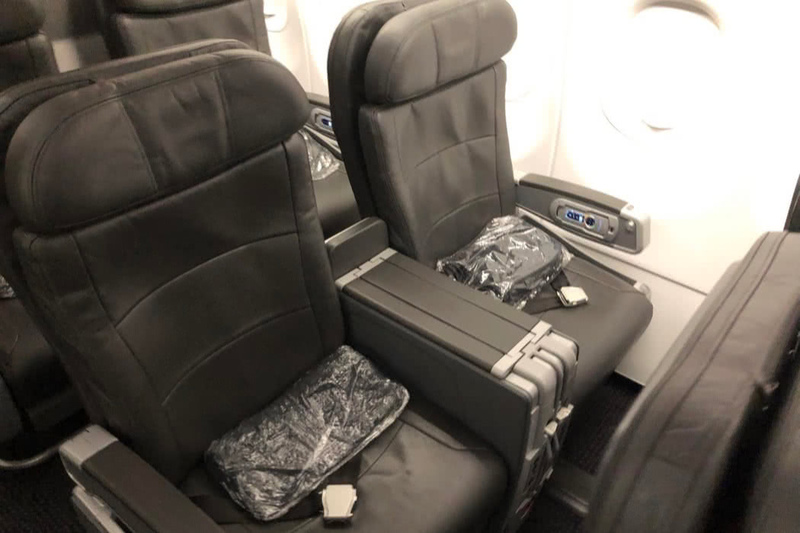 The A321’s recliner seats in First feature 2 inches less pitch than most other AA aircraft (38 inches vs. 40), but there was still enough of legroom. For short-haul domestic First class, American Airlines provides a standard wide recliner chair. This one was no exception, it was 21 inches wide, and had a pitch of 38 inches. In front of me was a 15.4 inches TV screen which had the entertainment system. This flight did not have Wifi, so there was no streaming services available for those who brought their own devices. 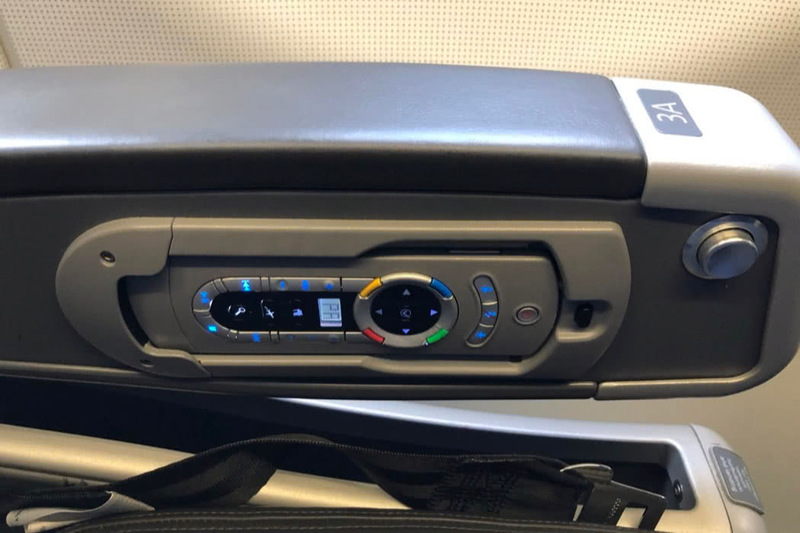 The remote controller for the entertainment system was located on my left armrest, while the right armrest contained the stowaway table. 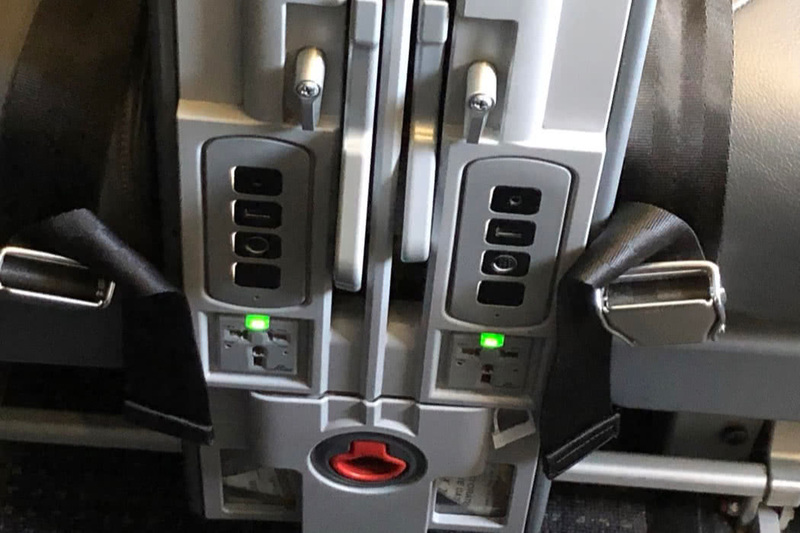 There were also 2 power plugs and the USB power sockets which were located under my right armrest. As we waited for the plane to be fully boarded, the air stewardess came around and handed us welcome drinks. I opted for a cup of water as I was still quite tired. Shortly after we finished boarding, we taxied to the queue for the runway and took off after a long while. As I was quite tired, I just decided to sleep. I managed to sleep most of the short 2-hour journey.I didn’t try the meal service as I was too tired. We landed in Washington DC’s DCA airport shortly after 9 AM. Overall, the flight was solid, and I managed to rest peacefully because my back and neck were well supported. The base of the seat didn’t feel overly padded but maybe that was just me? I ended up with a numb bum before the end of the flight. All seats in Main Cabin feature personal screens at each seat too, but they offer only a very limited amount of programming for free. In First, you get enough entertainment for free to amuse you during your flight. In Economy, the chances are you will have to fork out to watch everything you want to. The A321 is a good plane choice if you are flying AA plane. It features leather seats, a decent in-flight entertainment offering and usefully, power and USB ports at each seat. Did you know that you can now book American Airlines Domestic Routes on British Airways.com on Avios air miles (The British Airways air mile currency). The great thing about booking these routes on Avios is the lack of noteworthy fees. Travel transatlantic or around Europe and the fees are much higher. 9 Jan New York (JFK) to Miami (MIA) on American Airlines in Coach costs 7,500 Avios + £4 in fees. 9 Jan New York (JFK) to Miami (MIA) on American Airlines in First costs 15,000 Avios + £4 in fees. 9 Jan New York (JFK) to Orlando (MCO) on American Airlines in Coach costs 7,500 Avios + £4 in fees. 9 Jan New York (JFK) to Orlando (MCO) on American Airlines in First costs 15,000 Avios + £4 in fees. As you can see, the fees are next to nothing so this is a great way to make use of your Avios particularly on AA in Domestic First. Here are some more examples of domestic flight costs. Double these if you want to travel in domestic First (which counts as Business on BA). New York to Montreal, 7,500 Avios one-way on American. San Francisco to Honolulu, 12,500 Avios one-way on Alaska Airlines. Los Angeles to Honolulu, 12,500 Avios one-way on American. San Francisco to Los Angeles, 7,500 Avios Avios one-way on American. Atlanta to New York LaGuardia, 7,500 Avios one-way on American. Miami to Key West, 7,500 Avios one-way on American. Toronto to Chicago, 7,500 Avios one-way on American. US West Coast to US East Coast, 12,500 Avios one-way. New York to Bermuda, 7,500 Avios one way. Miami to Cancun, Grand Cayman, Montego Bay or Turks & Caicos, 7,500 Avios one-way. Miami to Barbados is 10,000 Avios one way. Domestic flights within the US booked with Avios usually come with no baggage allowance if booked in Economy, which is an extra incentive to book First, as this will take the baggage issue away. American Airlines flights can be booked on ba.com. If you cannot find a redemption route that you CAN find on AmericanAirlines.com, give the BA call centre to book the flights that were showing as available on the American Airlines website. Alaska Airlines flights, ideal for Hawaii, can only be booked by telephone with British Airways Executive Club. 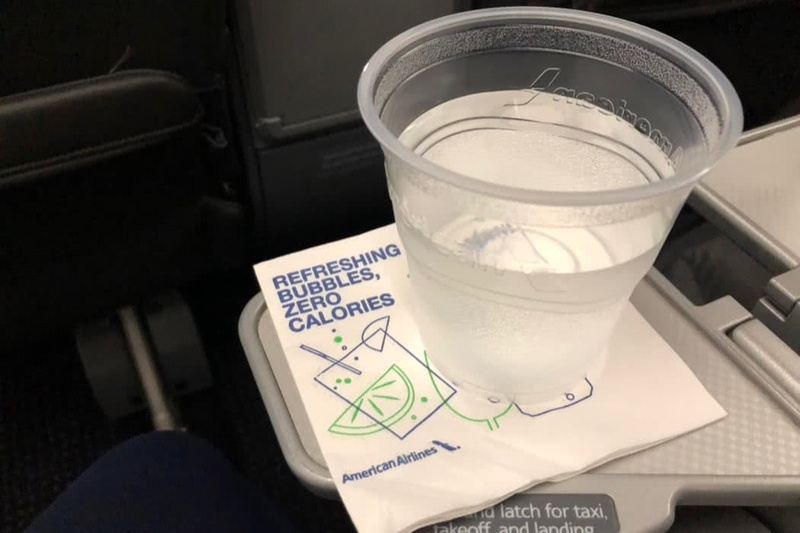 You can read our American Airlines First Class and American Airlines Business Class flight reviews to find out what is worth spending your miles on.